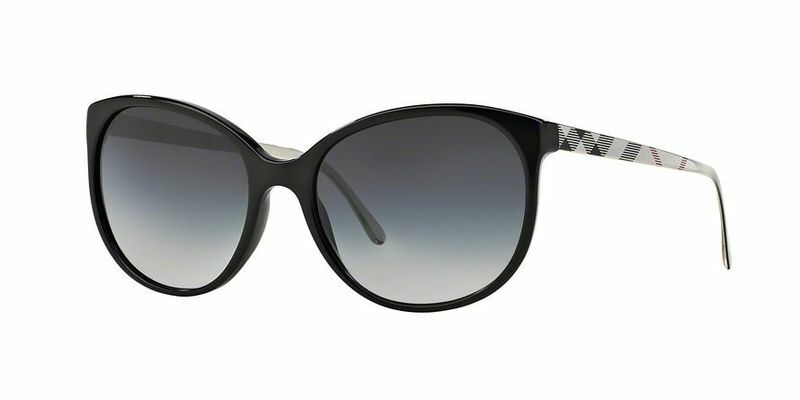 These full rim Burberry BE4146 sunglasses are perfect for the college student. Transform your look and go from geek to hipster in a matter of seconds depending on where you are, whom you're with, and what you're wearing. A pair of square frames will bring out your playful and mysterious side. You can be a little cheeky at times and you love to chat and socialize in a number of circles. You're keen to be noticed, and that's what will happen with these trendy square sunglasses. If you've got a round or oval shaped face, you'll be able to add more definition and structure to your face. The difference between fashion and style is simple - fashion means you're joining in with the rest and saying �Me too� whereas style is a bold statement saying �Only me!� Opt for style, because being unique is what makes you special, and this can be easily done when you wear a pair of stylish sunglasses like these. For those of you, who have triangular-shaped faces, you should opt for top-heavy Burberry BE4146 sunglasses with high temples such as these to bring about more of a balance.